Dolph Ziggler’s WWE contract situation has been unclear for much of 2018 so far, with some reports suggesting he signed a new $1.5 million per year deal and others claiming that his time with the company could come to an end this summer. As recently as April of this year, “The Show Off” revealed that he was still negotiating with WWE but he couldn’t offer a definitive update on whether he sees his future with the company or not. He has also hinted on several occasions in past interviews that he doesn’t plan on staying in the wrestling business long-term, with a career in stand-up comedy possibly in the pipeline once he retires from the ring. While it still hasn’t been officially confirmed whether the newly crowned Intercontinental champion will stay with WWE, even in the short-term, there has been a major hint this week that he will extend his deal beyond this summer and at least until the end of the year. WWE Hall of Famer Shawn Michaels was scheduled to represent the company at Wales Comic Con with Sheamus and Cesaro on 1-2 December 2018 but recent advertisements show that Ziggler has taken his place, which presumably wouldn’t be the case if his contract was set to expire. The former World Heavyweight champion has had a career resurgence since he was drafted from Raw to SmackDown Live in the recent Superstar Shake-Up, aligning with Drew McIntyre in April before producing a major shock to win the IC title from Seth Rollins earlier in June. It looks like WWE has big plans for McIntyre, Ziggler’s new ally, and the two men have recently found themselves in a featured angle on Monday Night Raw with Rollins and Roman Reigns. From a storyline perspective, this is the best work we’ve seen from the 2012 Money In The Bank winner since he put his career on the line against The Miz in late 2016, so news that he seems set to stay with WWE will come as a welcome surprise for his many fans. What would you like to see next from Ziggler? Is he right to extend his deal with WWE? Or should he hang up the wrestling boots and pursue his interests in stand-up comedy and politics outside the ring? Let us know your thoughts in the comment section. Send us news tips at fightclub@sportskeedsa.com. WWE Rumors: Dolph Ziggler on his way out of WWE? 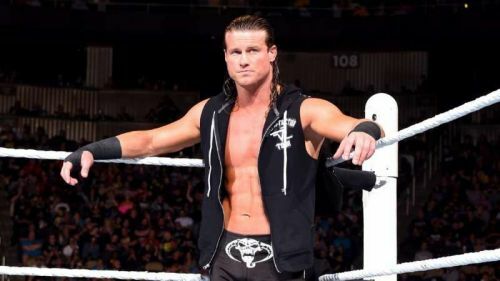 WWE Rumors: Dolph Ziggler wants to lead his own faction on WWE RAW?